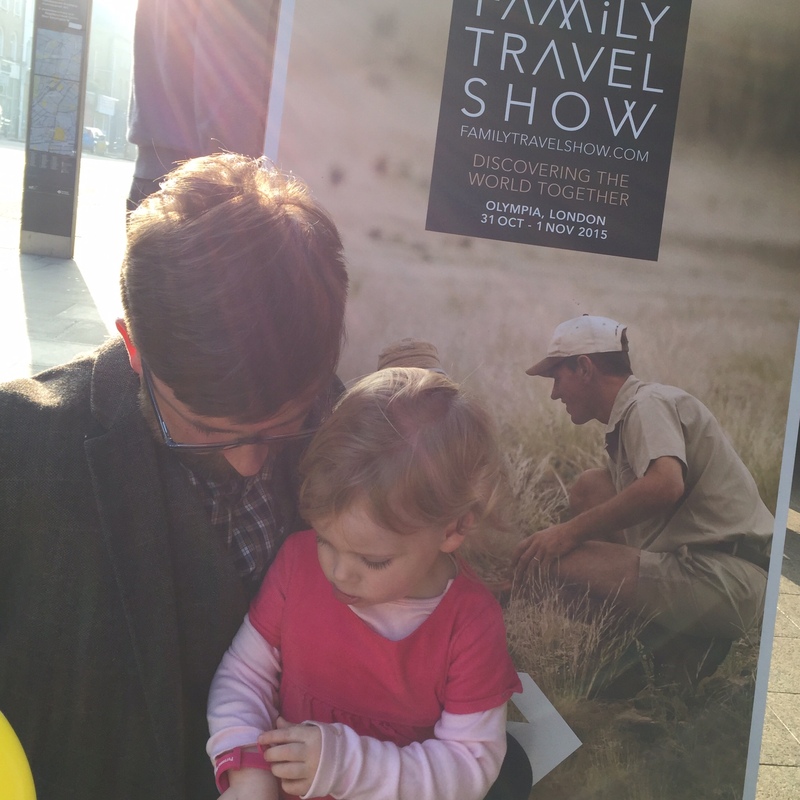 Dear Mummy, just before Christmas we visited The Family Travel Show in London. With the madness that was Christmas, we’ve only just sat down to go through our goody bags and have a look at some of the holiday brochures we took away with us. Now is the time to start looking at a holiday for us! 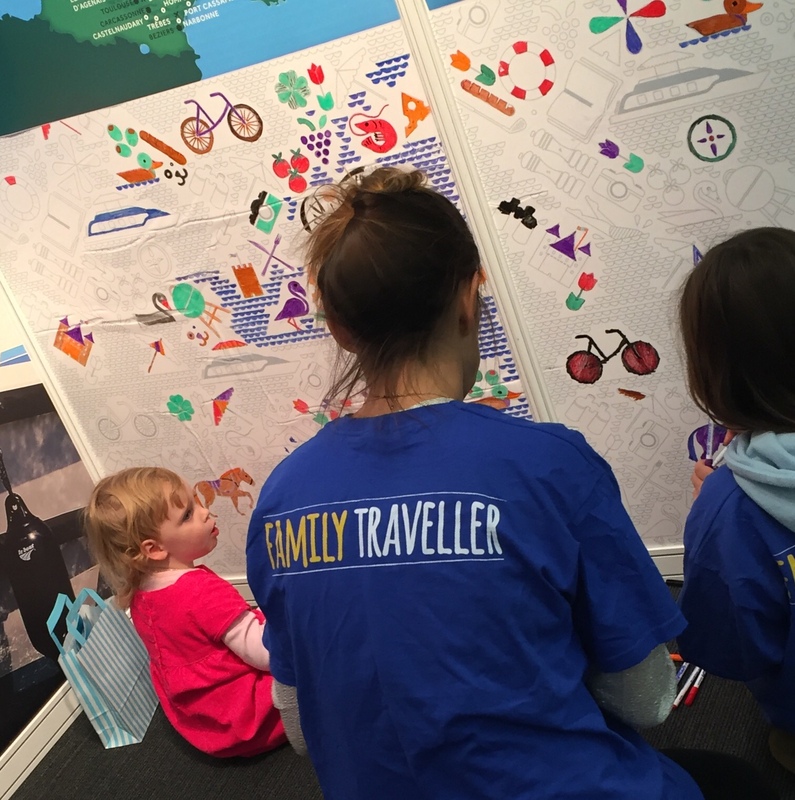 The Family Travel Show is the UK’s only event totally dedicated to helping families discover their travel adventures together. It’s the first time they’ve held a show like this in the UK and we had a fabulous time browsing the stands. It’s great that it was kiddie friendly too and every stand was geared up to welcome little folk like me! It was held at Olympia in London, a large exhibition space and it took place over the last weekend in October. We were invited down to see what it was all about and gain some inspiration for a family holiday this year. But we came away with more than that! We came away feeling more positive about travelling as a young family. 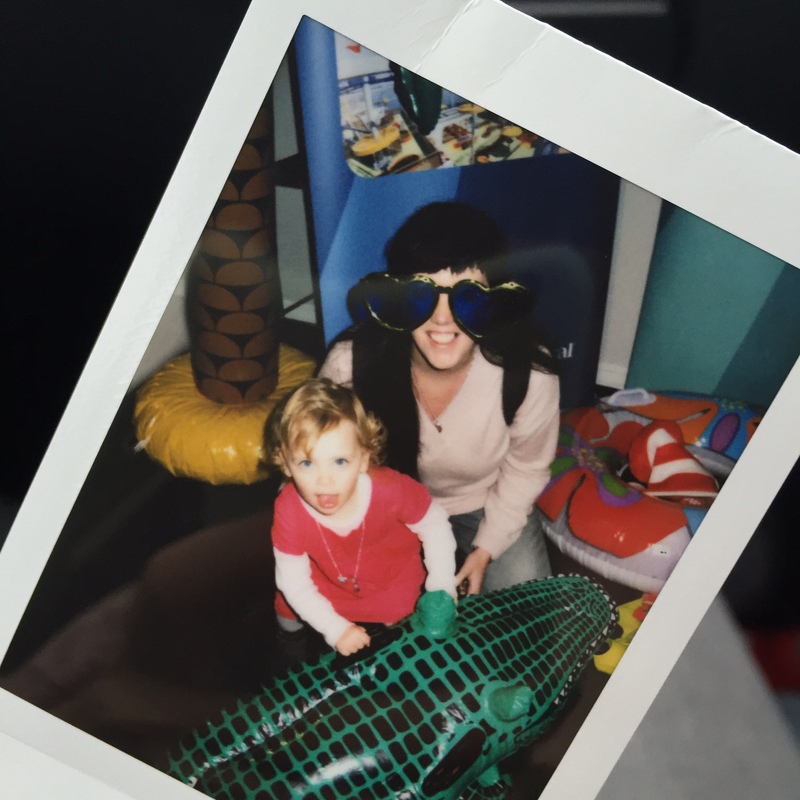 You see, like most parents, the thought of travelling with a toddler fills us with dread and anxiety. But there are loads of family friendly tour operators out there that make travelling and reaching your destination easy and enjoyable….and most importantly stress-free! 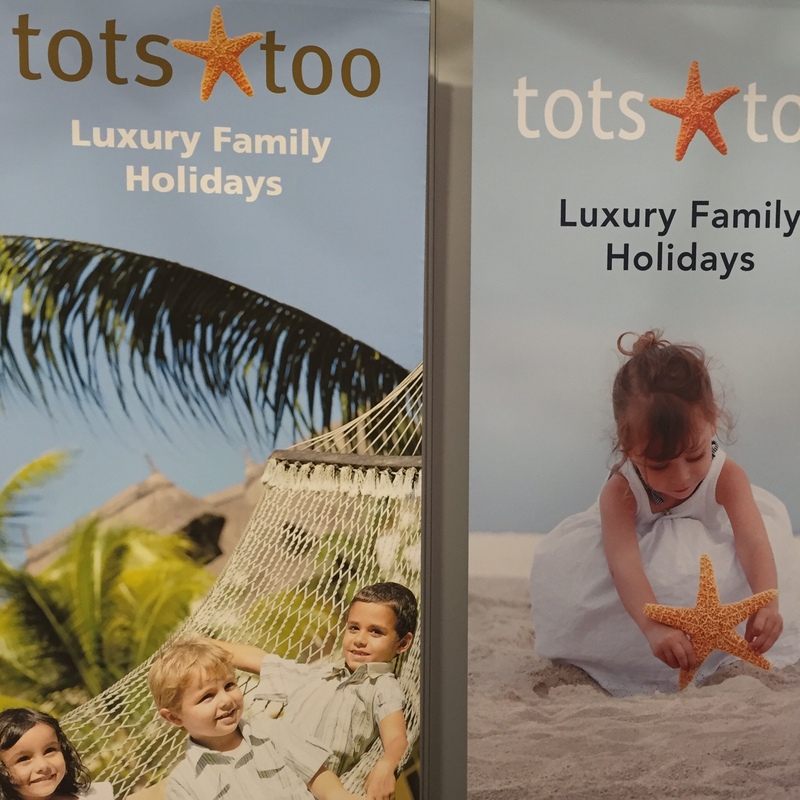 We chatted to some of the best family holiday providers in the world. Some really quirky destinations too! 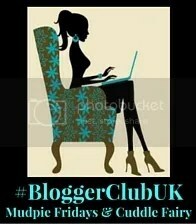 Not just for the seasoned Travel Blogger – the world is our oyster! 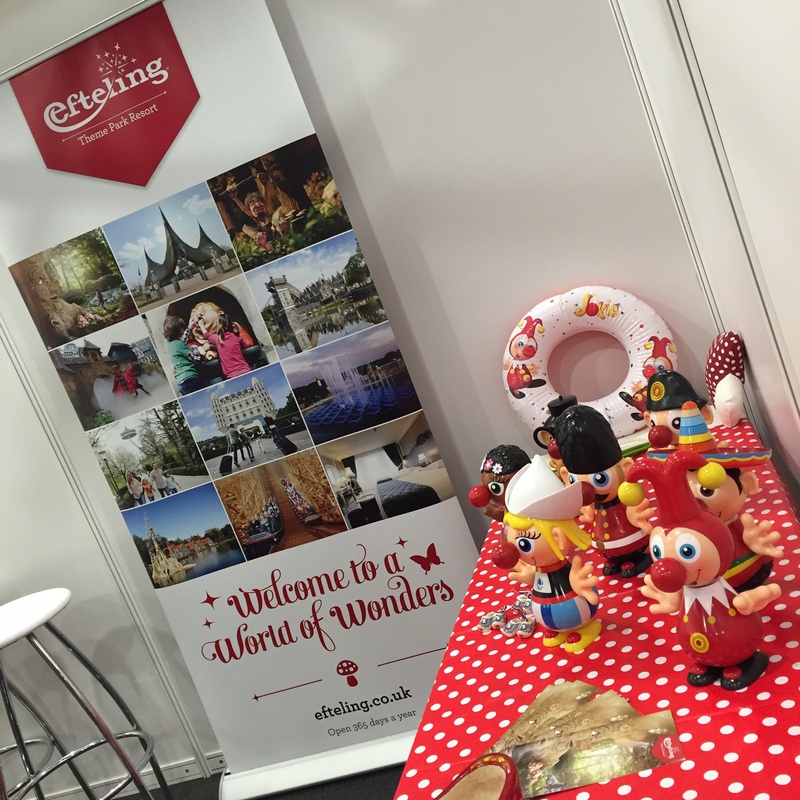 We stumbled on Efteling Theme Park Resort, a magical fairytale land in The Netherlands which we would love to visit. 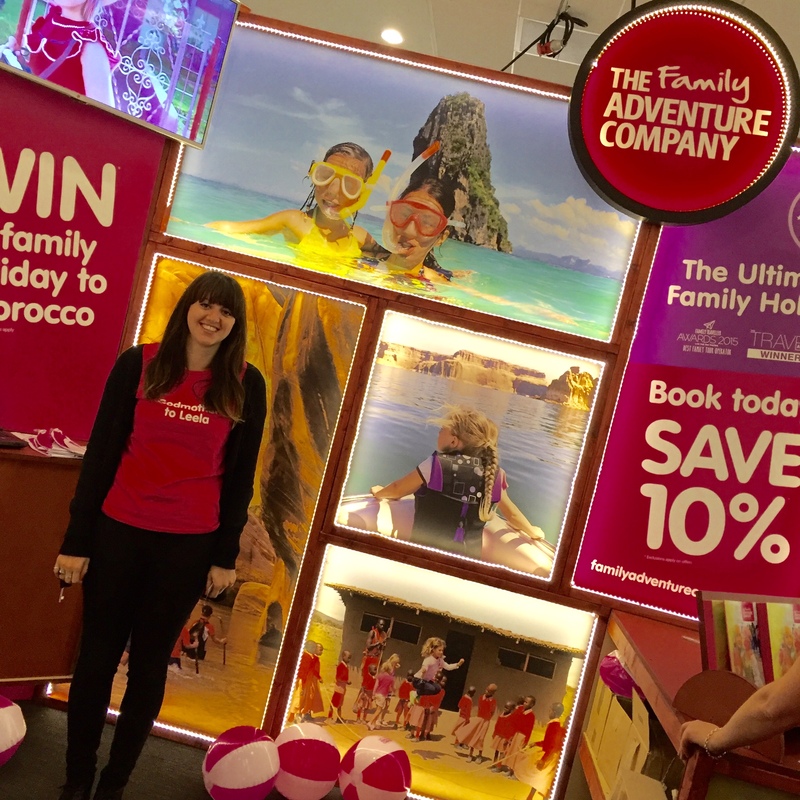 We joined in with loads of competitions to win holidays and came away with oodles of exclusive show-only holiday offers. 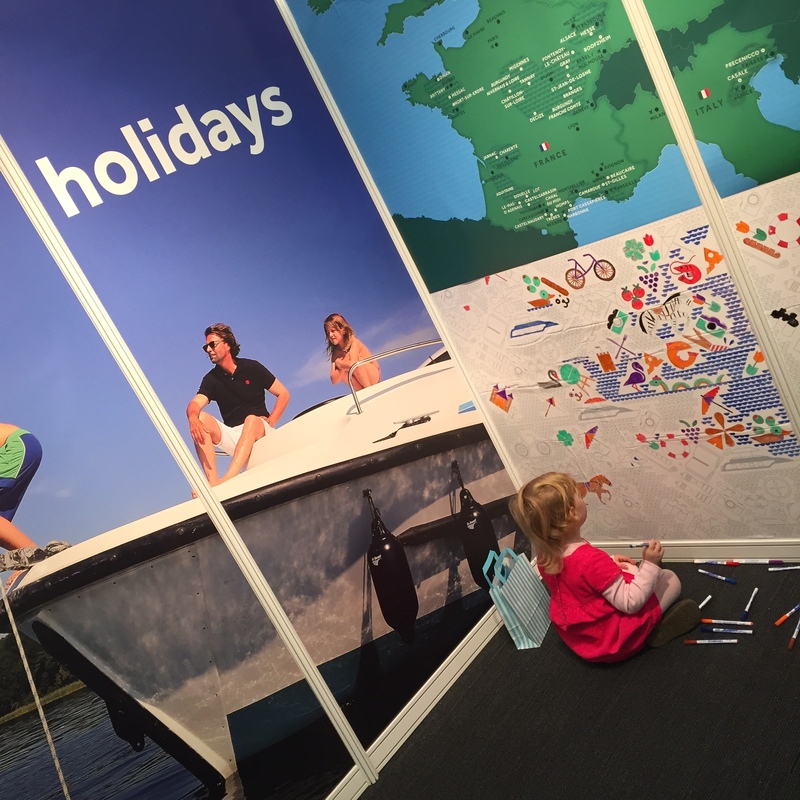 I was fascinated by the fish tank on The Turquoise Holiday Company stand and enjoyed chatting to them about their exotic family holidays. Throughout the event we were enticed by all-inclusive luxury getaways, exciting cruise voyages like LeBoat, action-packed resorts and family friendly villas, the great ski holidays from Esprit Ski and incredible wildlife safaris. We just wished we had the money to go on all these holidays in my lifetime! Better start saving now! 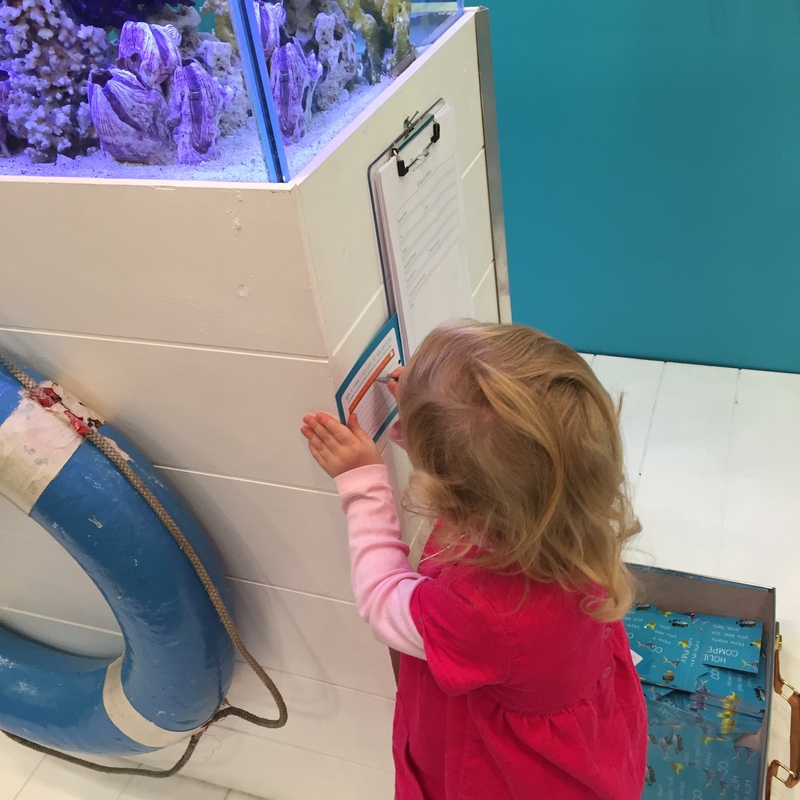 We stumbled on some innovative travel accessory companies too like Travel Snug and Nipper Skipper. Travel Snug design a range of practical carry-on cushions and blankets to help children get comfy on flights (or for trains and coaches). 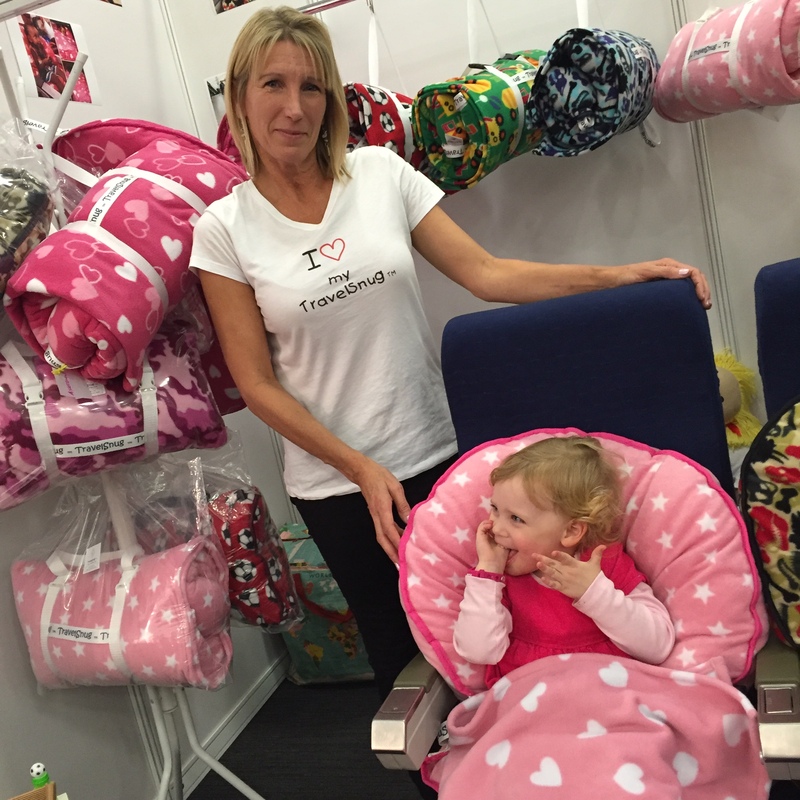 As you can see I tested one out while we were at the show and got so comfy I nearly fell asleep in demo seat!! You know I’m ready for a nap when my thumb goes in my mouth! 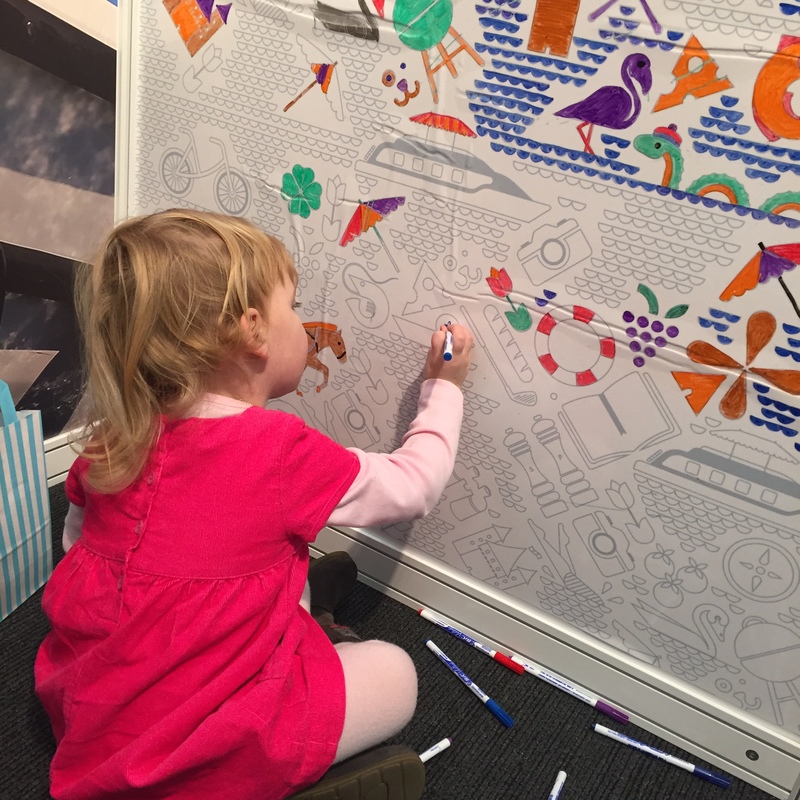 Nipper Skipper produce a range of fashionable outdoor clothing for kids, we loved their little sailor togs and wet weather gear! Really practical for our outdoor adventures! They were friendly on the stand and helpful when we were asking about recommendations. The Family Traveller Magazine girls who were handing out magazines during the event were really nice and stopped to chat with me while I was colouring in. We find their magazine invaluable now and it’s a great source of inspiration! 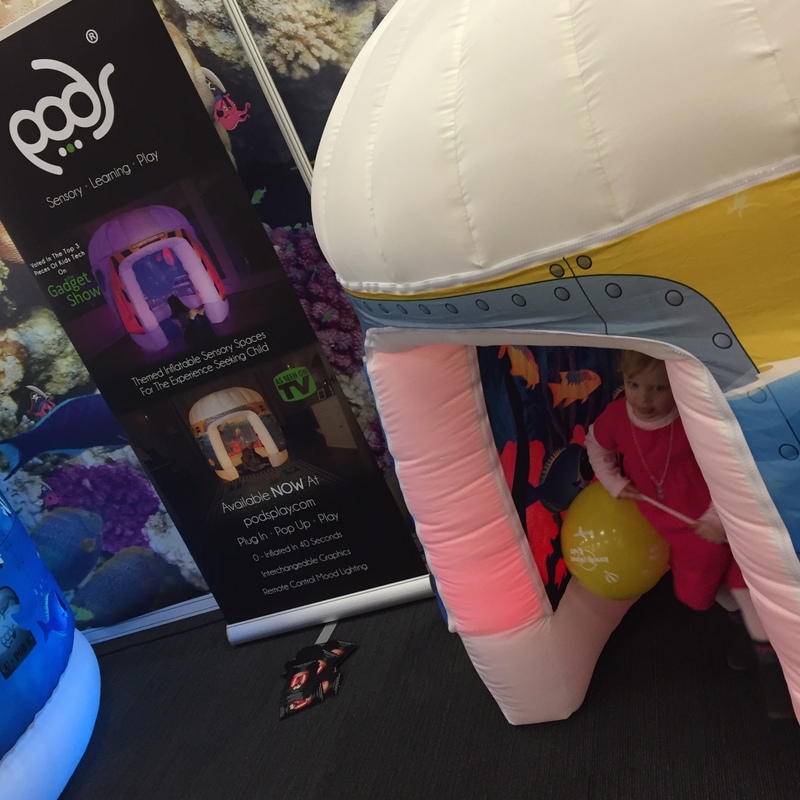 The Family Travel Show had some cool attractions too, like the giant hidey-holes from podsplay. I spent ages hiding away from my folks and looking at all the pretty colours which gave them time to talk to people of the stands. They were great sensory pods! 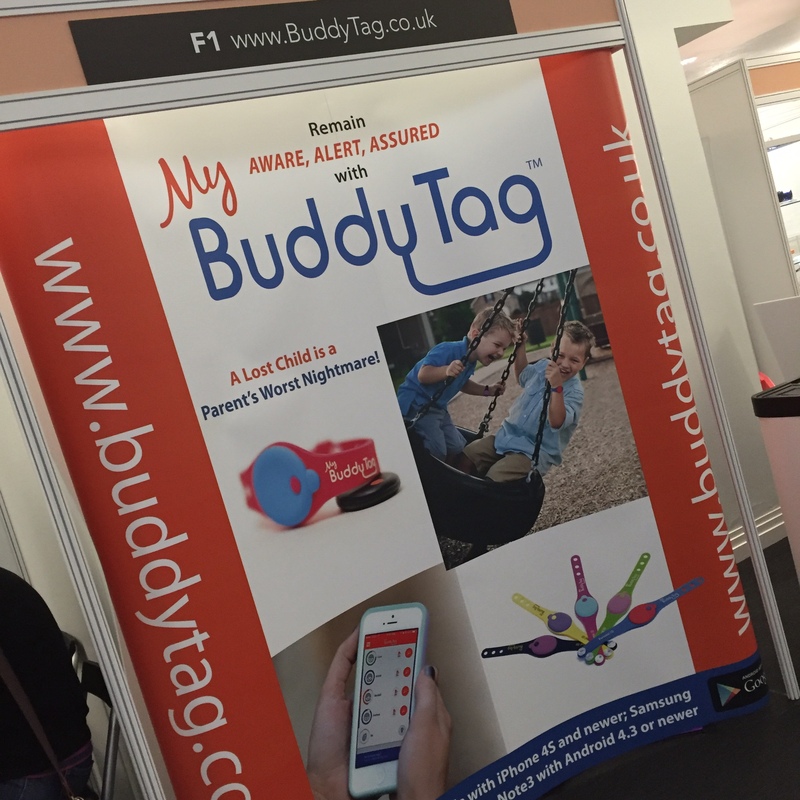 One item which caught my daddy’s eye was the Buddy Tag, he’s always concerned that I’ll run off out of sight and something will happen to me, so this product was like buying a little piece of mind. We tried it out straight way during the event and it worked a treat. It’s basically like a tracker that a child wears on their wrist to keep them visible to their parents. It transmits a signal to my Daddy’s phone via an app, and he can see where I am and set perimeters which trigger an alarm if I leave his side or wander off more than 2 meters etc. (you can change and set the perimeters as you wish via the app) We though it was a genius idea and will be testing it out at this years festivals – so watch out for the full review. Some of the travel activity holidays were for families that had children a little bit older than me, so we took away brochures for future inspiration. There were free talks from a range of speakers like travel writers and bloggers, to journalists and family travel industry experts. 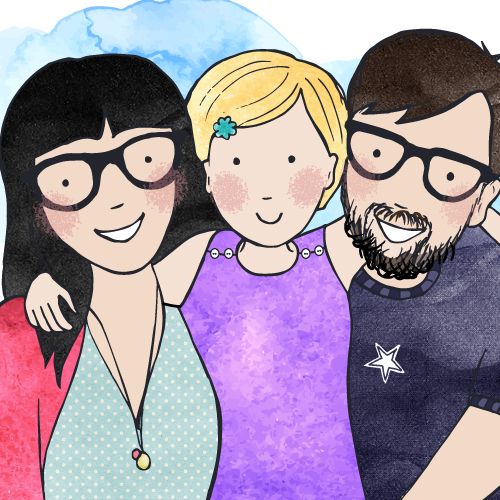 We listened to other parents quiz the experts about their family adventures and hurdles they might encounter. It was very informative and we enjoyed the tips and troubleshooting. 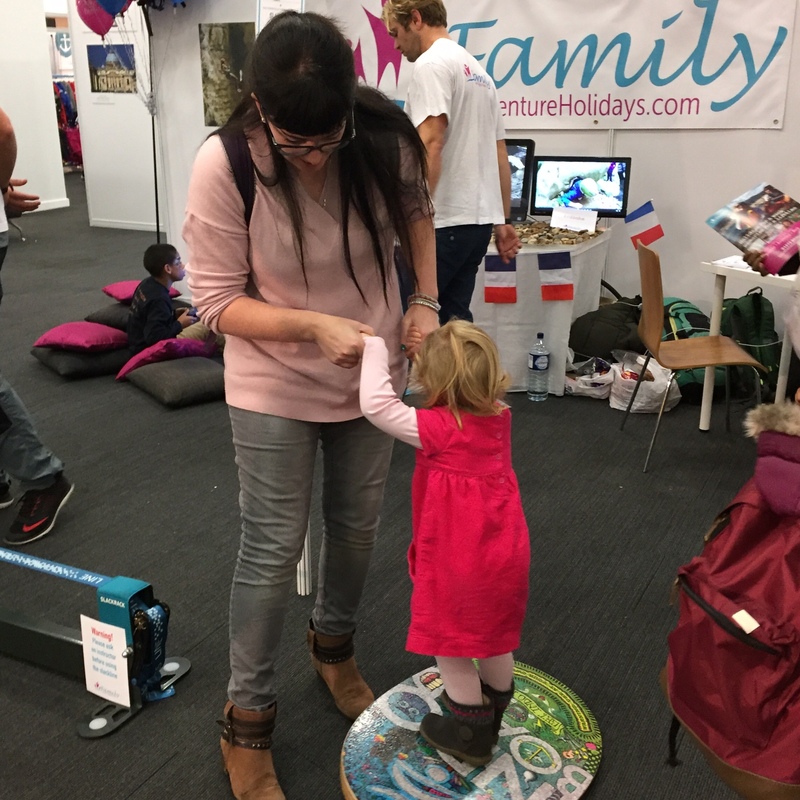 We had fun talking to brands at the event and joining in with some of the activities to keep children amused while parents browsed. 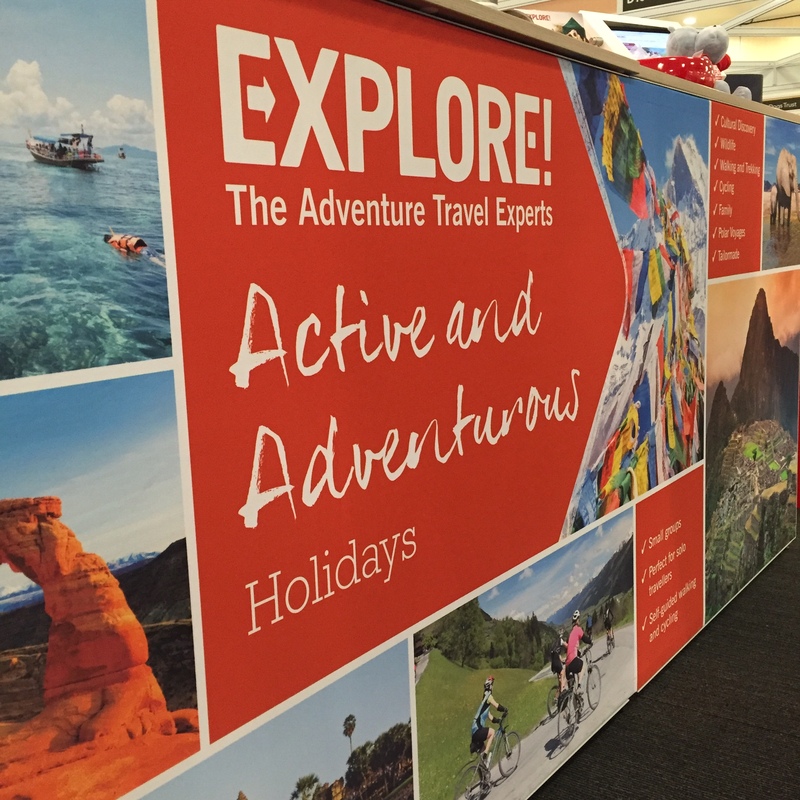 We headed straight to the Explore stand and spoke to a lovely guy called Steve. Everyone was so friendly and knowledgeable. 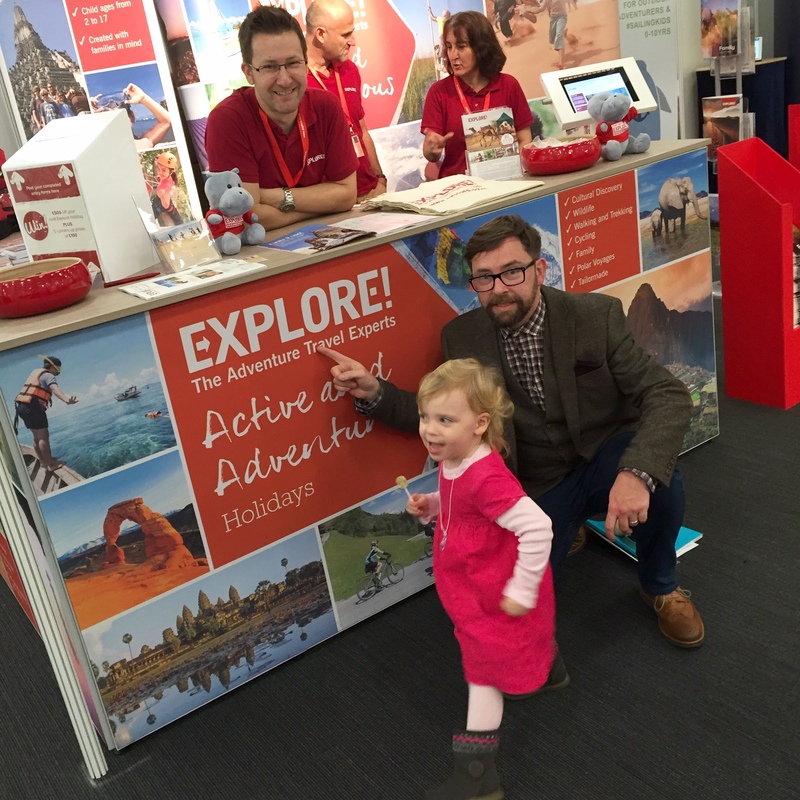 He put our mind at ease about travelling with little ones and showed us some great destinations from the Explore catalogue. Explore seemed like a funky, modern and friendly company and we wouldn’t hesitate to travel with them in the future. Maybe when I’m a bit older, as I’d love to go on a safari! My folks spoke to TotsToo and were handed a luxurious catalogue full of travel ideas. We had heard of these guys before and they had been recommended to us. 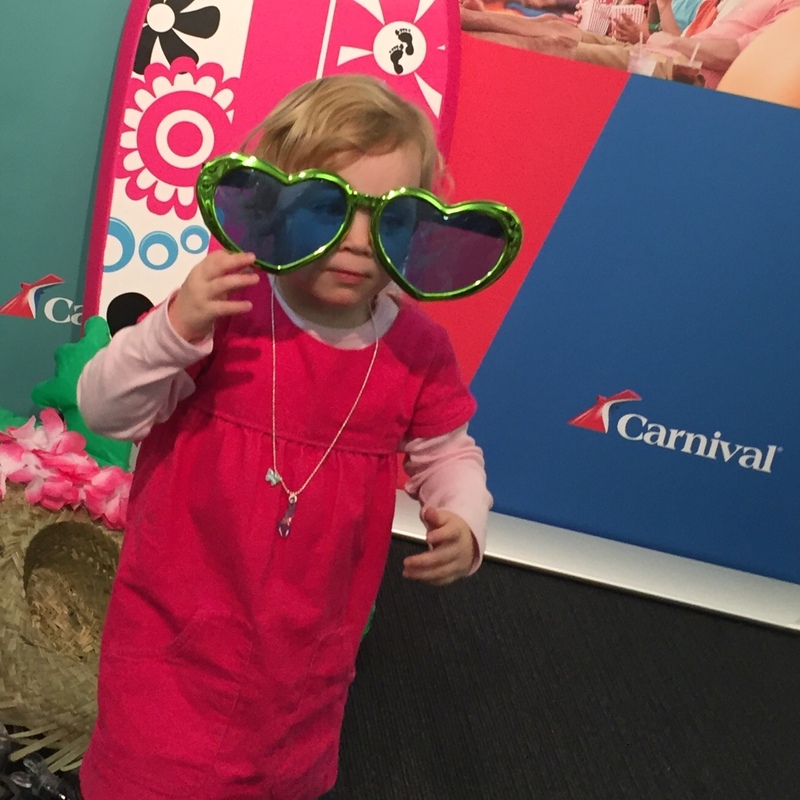 I had fun on the Carnival Cruises stand dressing up and taking pictures while my daddy enquired about family friendly cruises. 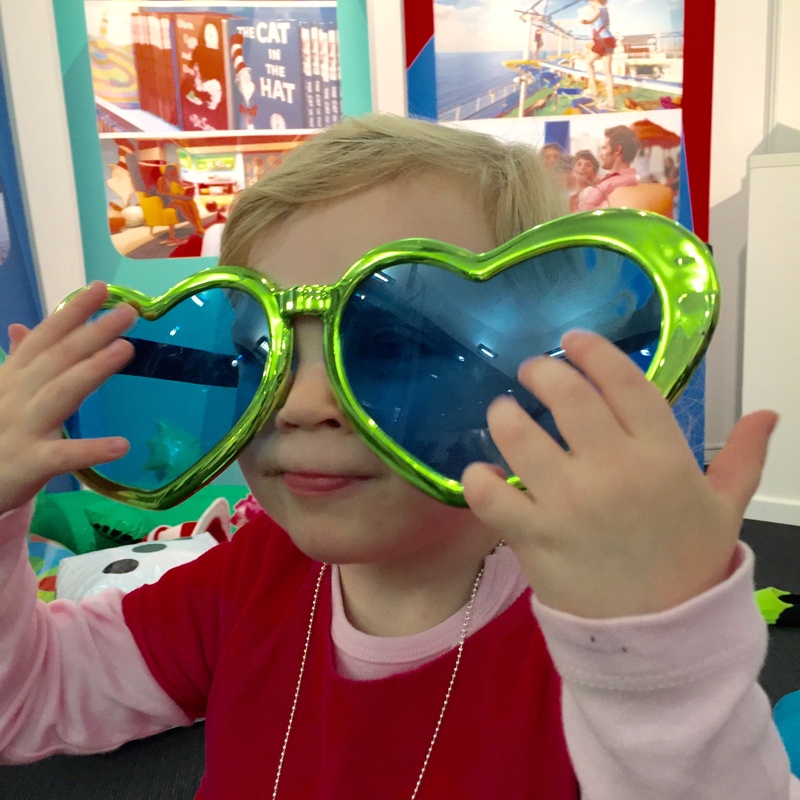 We have never thought about a cruise with a toddler, which is shame really considering how near we live to Southampton and the home of Carnival and P&O. On looking at their range of packages it’s really tempting and we’d love to explore one of their ships when it’s next in port. 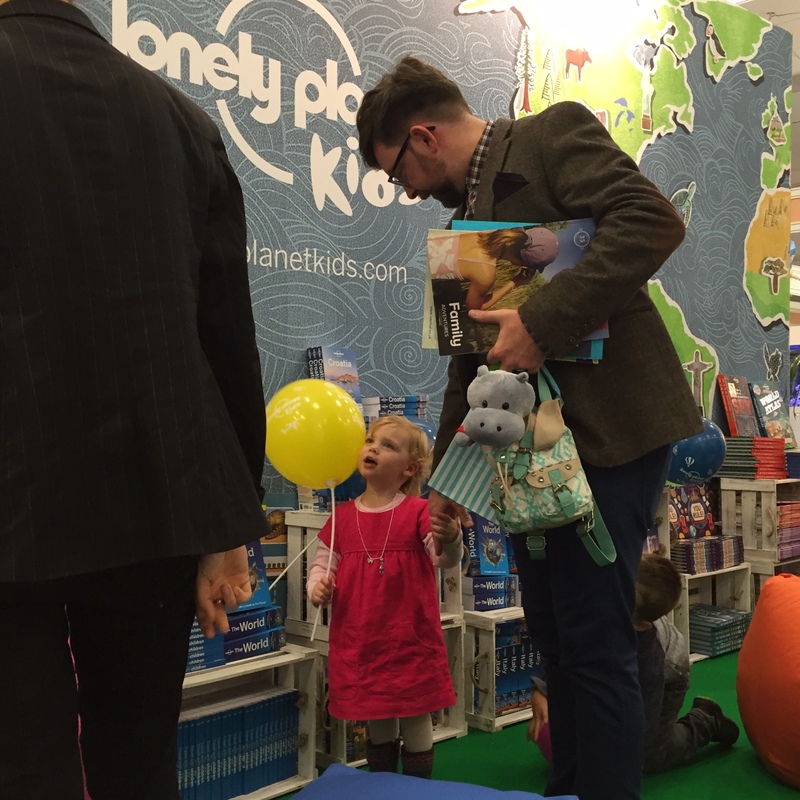 We stopped by the Lonely Planet Kids stand and read some of their books and asked for advice on travelling with kids. They were really nice and helpful, again putting our mind at ease about travelling out of our comfort zone. All in all we had a fantastic day out! 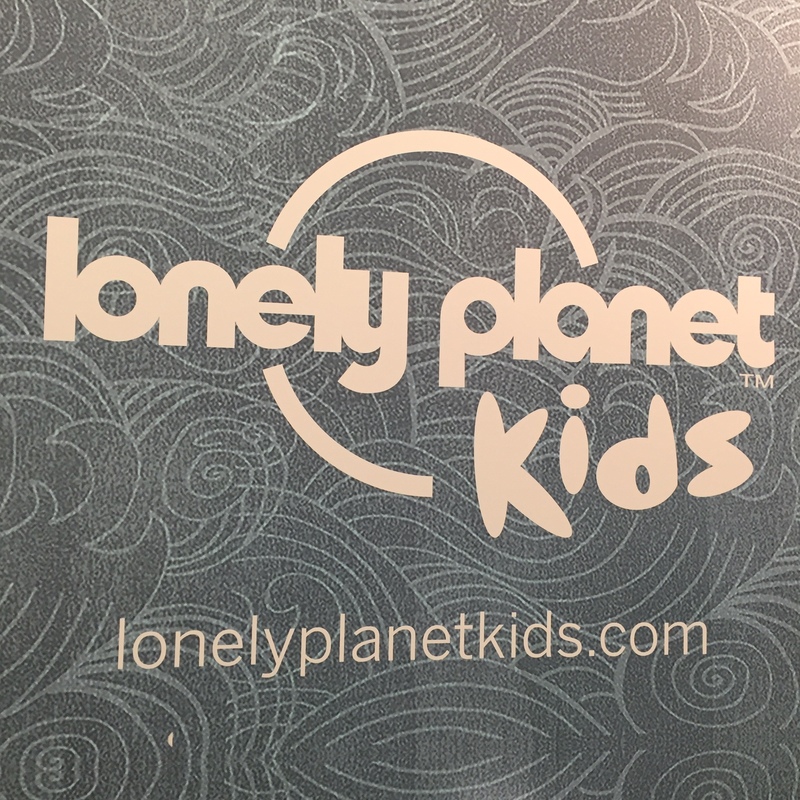 We can’t believe there are so many ‘quality’ family friendly tour operators out there (not just high street ones Thompsons and First Choice) These companies offer so much more for the intrepid traveller and young wild explorer. My folks hope to expose me to much of the world as possible and find fun off the beaten track. January is a great time to think about booking holiday, especially as companies are offering new year deals at cheaper rates! As a result of visiting the Family Travel Show we are now considering visiting Portugal this year as well as a couple of funky staycations. …..The wild safari will just have to wait, as I need to save more pocket-money, maybe next year! what a lovely idea! 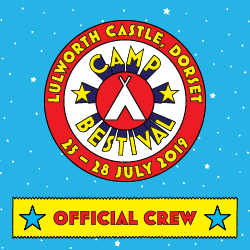 We aren’t huge travellers, mainly due to our complete lack of knowledge how to haha so maybe we should pop along to one of these and find someone to do it all for us! What a fantastic show. I think it gets easier with tots/children once you’ve taken the plunge and done it! So many fabulous places to choose from. Sounds like a really interesting show. We haven’t taken our children abroad yet but we’re considering a mini cruise this year! argh that shouldn’t say bodies, naughty autocorrect! It should say goodies!! What a great way to get some inspiration! A perfect family holiday is possible with some thought – for me, as long as the kids are happy I can relax and get happy too! It looks like you had a great day. Oh wow, sounds fascinating. I’m very excited about going tomorrow for the first time!